Henry wanted the rebellion dealt with swiftly and effectively in order to stop anymore uprisings. His message to Brandon was clear. 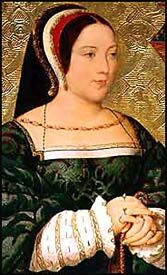 Margaret Tudor was born on 28th November 1489 at Westminster Palace she was the oldest surviving daughter of King Henry VII and Elizabeth of York. Margaret was baptised in St. Margaret’s Church, Westminster. On 24th January 1502 the Treaty of Perpetual Peace was signed between the two countries and the marriage treaty was concluded on the same day. On 25th January 1503 the marriage was completed by proxy in the Queen’s great chamber at Richmond Palace with the Earl of Bothwell standing in for the Scottish King. Bothwell wore a gown made of cloth of gold and was accompanied by the Archbishop of Glasgow and the Postulate of Moray, Andrew Forman. Margaret was now considered the Queen of Scotland. Now the Queen of Scotland, Margaret was provided a large wardrobe of clothes befitting her new status as well as state bed curtains made of crimson Italian silk embroidered with the Lancastrian red rose. In May 1503 King James confirmed that Margaret’s lands in Scotland would comprise of; Methven Castle, Doune Castle, Newark Castle, Linlithgow Palace and Stirling Castle as well as any income from the Earldom and Lordships of her land. 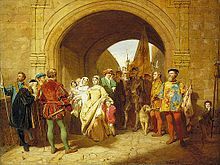 Margaret set of for her new life in Scotland on 27th June 1503 and was accompanied by an impressive progress that was led by King Henry VII until Collyweston. On 1st August Margaret was met by the Scottish court at Lamberton. On 4th August Margaret was comforted by her new husband after a fire broke out in the stables at Dalkeith Palace, which resulted in the death of some of her favourite horses. Just three days later on 7th August Margaret was carried in a litter from Dalkeith to Edinburgh. The following day the marriage was celebrated in Holyrood Abbey with both Margaret and James present. The ceremony was presided over by the Archbishop of Glasgow and the Archbishop of York. Now officially married to James, Margaret undertook her first public engagement just two days later when she went to mass at St. Giles’ Cathedral. The couple would go on to have six children although only one survived infancy, the future King James V.
With Margaret’s brother, King Henry VIII, now on the throne of England the Treaty of Perpetual Peace soon broke down and with Henry away fighting in France, Scotland invaded England resulting in the death of King James IV. In his will he named Margaret as regent for their son, for as long as she remained a widow. Margaret, now in charge of the country ruling in her infant son’s name soon came up against opposition, not only was she a women she was also the sister to their enemy and cries for her replacement soon began. The figurehead of their campaign was John Stewart, 2nd Duke of Albany, the closest living male relative to the young King. Margaret was able to calm the calls for her to stand down and reunited the Scottish council; however, as she was doing that she turned to the House of Douglas for support and secretly married Archibald Douglas, 6th Earl of Angus near Perth on 6th August 1514. Now no longer a widow by the end of August 1514 Margaret consented to the appointment of the Duke of Albany as the new regent of the country. The Scottish council also declared that with her new marriage she had also given up the rights to supervise her sons. In defiance to the ruling Margaret gathered her sons and fled to Stirling Castle. Margaret eventually surrendered her sons the following August to Albany, by now she was expecting another child with Douglas and they retired to Edinburgh. Margaret obtained permission from the council to travel to Linlithgow and from there she fled back into England where she was greeted by Lord Dacre and was escorted to Harbottle Castle where she gave birth to her daughter, Lady Margaret Douglas. During her time at Harbottle Margaret was informed of the death of her youngest son, Alexander. It was also during this time that the relationship between Margaret and Douglas began to break down with Douglas returning to Scotland in an attempt to make peace with Albany and protect his lands, as outside of Scotland he had no real power. Margaret, with her new born child, travelled on to London and the court of her brother, King Henry VIII, she was housed in Scotland Yard, the London residence of Scottish kings. A year later, in 1517, Margaret returned to Scotland following a new treaty between Albany, Henry and Cardinal Wolsey. The Dowager Queen of Scotland was met at the border by Sieur de la Bastie, Albany’s deputy and her husband. Shortly after returning to Scotland Margaret had discovered that her husband had been living with a former mistress, Lady Jane Stewart, in her home and using her money. In October 1518 Margaret wrote to her brother regarding the possibility of a divorce. Henry was strongly against the divorce on religious beliefs (this was before his own divorce to Katherine of Aragon) as well as the fact that Angus was an ally worth holding on to. Margaret began to work closely with Albany and when Albany returned to Scotland in November 1521 they set about restoring order to Scotland. Angus by now had gone into exile and began to spread rumours regarding the relationship between Margaret and the Regent. However, in 1524, Margaret showed that her alliance with Albany was just political when she formed a party that set about removing the Regent altogether with the help of Arran and the Hamiltons, Margaret brought her son, King James V, to her in Edinburgh and it was declared that now James was 12 years of age he was able to rule in his own name and was granted full powers. In November of the same year Margaret was recognised by Parliament as the chief councillor to the King. Angus returned from exile and the relationship broke down between Margaret and Angus so much that upon entering Edinburgh Margaret ordered cannons to be fired at him from both Edinburgh Castle and Holyrood House. He was finally admitted to the council in February 1525 where he seized custody of the King and held him for three years. Margaret did all she could to resist the Angus’ attempts to rule through James and despite her previous coup remained in friendly contact with Albany who was in Rome working on achieving her divorce from Angus. Pope Clement VII granted the divorce in March 1527 but she was unaware of this until December of that year. On 3rd March 1528 Margaret married for a third time to Henry Stewart. In June 1528 Margaret’s son, King James, was finally able to free himself from Angus and began ruling in his own name. James created his new step father Lord Methven and they became some of the leading advisors to the King. One of Margaret’s main aims was to bring about a stronger relationship between Scotland and England and attempted to arrange a meeting between James and Henry. Margaret wanted an event similar to the Field of Cloth of Gold but it never came to fruition as James refused to be ruled by others and was suspicious of Henry. Margaret once again sought divorce from her latest husband and even attempted to flee back to England before she was intercepted and escorted back to Edinburgh. She would write to Henry complaining of poverty and sought his protection against her husband. In June 1538 Margaret welcomed her daughter in law, Mary of Guise, to Scotland. The two would have a good relationship and Mary ensured her mother in law was more comfortable making regular appearances at court with her husband, with whom she had reconciled. Margaret died at Methven Castle, Perthshire on 18th October 1541. It was reported that she suffered a palsy but expected to recover and therefore made no will. 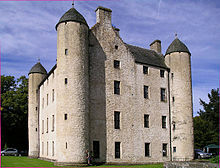 She did send for her son who was at Falkirk Palace but he failed to arrive on time. She was buried at the Carthusian Priory of St John in Perth. Sir Philip Sidney was born on 30th November 1554 at Penshurst Place, Kent to Sir Henry Sidney and his wife Lady Mary Dudley. His uncle was Robert Dudley, 1st Earl of Leicester. Sidney was educated at Shrewsbury School and later Christ Church, Oxford. In 1572 Sidney was elected as Member of Parliament for Shrewsbury and he also travelled to France in the same year as part of the team tasked with negotiating the marriage of Queen Elizabeth I and the Duc D’Alençon. Whilst in France Sidney witnessed the St. Bartholomew’s day massacre in Paris on 24th August 1572. Sidney would spend the next few years travelling around Europe visiting countries like; Germany, Italy, Poland, Hungary and Austria during this time Sidney met many prominent politicians and even visited an exiled Jesuit priest, Edmund Campion. Sidney returned to England in 1575 and he soon met Penelope Devereux, Devereux would go on to inspire Sidney’s sonnet entitled ‘Astophel and Stella.’ Devereux’s father had planned to marry his daughter to Sidney but died before the marriage could take place. Aged 22 Sidney was sent on a diplomatic mission by the Queen and was sent to Rudolf II, the German Emperor, and Louis VI, Prince of Orange, in order to present the Queen’s condolences on the death of their fathers. 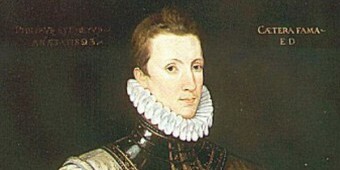 Sidney was also tasked with learning whether the Spanish and their control over Europe was a threat to England. Sidney returned and gave the Queen a positive report of his mission, but his age and lack of experience went against him and Elizabeth sent other diplomats to gather information, they returned with a less optimistic view than the one Sidney returned with. Sidney opposed the Queen’s prospective French marriage which caused some tensions within the political world. He wrote a detailed letter to her in 1579 outlining why she should not marry the Duke of Anjou, although moved by the letter the Queen reprimanded Sidney for speaking out of line as he was still a commoner. Sidney would go on to clash with Edward De Vere, 17th Earl of Oxford, regarding the Queen’s marriage. In August 1579 Oxford and Sidney would clash during a performance of play with Oxford insulting Sidney during an exchange between the two Sidney would leave but the following day sent Oxford a reminder of honour’s obligation ad Oxford responded. The Queen and the council heard of the argument and quickly put a stop to it. As a result Sidney retired from the court for the next year and stayed with his younger sister, Mary, in Wilton. 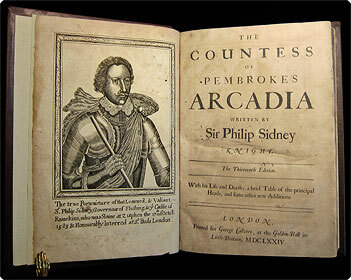 During his time in retirement Sidney wrote ‘Arcadia’ originally entitled ‘The Countess of Pembroke’s Arcadia’ with the title being a reference to his sister. In January 1581 Sidney was a Member of Parliament for Kent, a post he also held in 1584. During this time at court he met Penelope Devereux and quickly fell in love with the future Lady Rich. The love could not grow and he wrote ‘Astrophil and Stella’ about his experiences of impossible love, with Penelope being the inspiration. In 1583 Sidney was restored to the Queen’s favour and was knighted and stood in for Prince Casimir who was being inducted as a Garter Knight. Later in this year Sidney married Frances Walsingham, daughter of Elizabeth’s Secretary of State, Sir Francis Walsingham. The marriage was opposed by the Queen who felt that she could use Walsingham’s daughter for a political marriage. As part of the couple’s marriage Sir Francis paid off £1500 of Sidney’s debt and to allow the couple the chance to save money they moved into the Walsingham family home. Sidney was sent abroad in the service of the Queen and on 22nd September 1586 he was wounded at Zutphen in the Netherlands. Sidney was serving under his uncle, Robert Dudley, in his first military campaign. He was hit in the thigh with a musket ball after giving his leg armour away to a soldier who had none. Although his wound was serious he was able to ride the mile back to camp where he arrived with a large loss of blood. He was offered water upon arrival but shunned it so another wounded soldier could drink some. It was believed that Sidney would recover from the injury and so was taken to Arnhem to recover. Sidney died 26 days after being shot on 17th October 1586, his body was returned to England in a boat that sailed with black sails and the court went into mourning. A state funeral was held at St. Paul’s Cathedral . When Queen Mary I ascended the throne she instantly took to bringing England back in line with the Roman Catholic Church. One of the first acts she performed as she began to reconnect with Rome was to order the arrests of Bishop Hugh Latimer, Bishop Nicholas Ridley and Archbishop Thomas Cranmer. These three men were influential during the reign of her brother, King Edward VI, and were figureheads for the Protestant religion. After spending time in the Tower of London the three were moved to the Oxford Bocardo Prison on charges of heresy in September 1555 where they would be examined by the Lord’s Commissioner in Oxford’s Divinity School. Ridley was questioned in particularly regarding his opinion on whether he believed the Pope was the heir to the authority of Peter as the foundation of the Church. Ridley replied that the Church was not built on one man and therefore Ridley could not honour the Pope as he was seeking glory for Rome and not God. 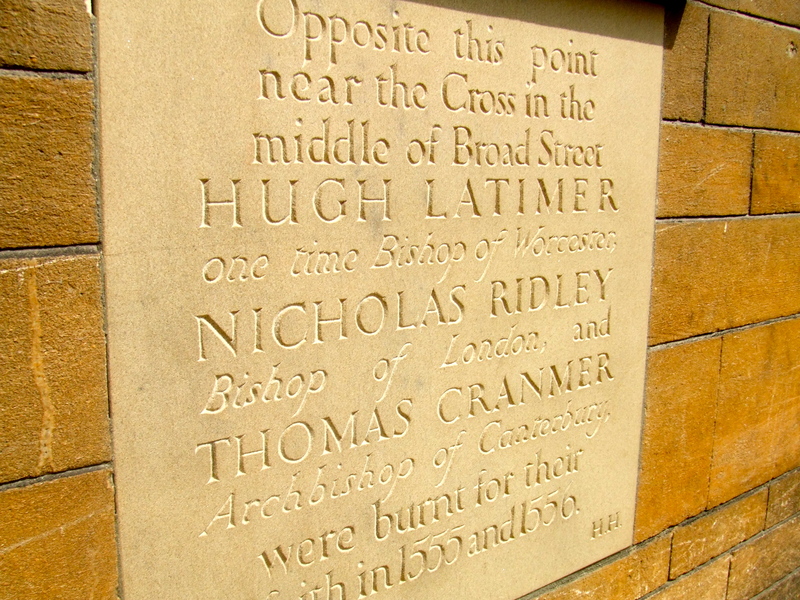 Ridley and Latimer were decreed martyrs and are commemorated by a Martyr’s statue in Oxford alongside Cranmer. The place of death was on the north side of the town opposite Baliol College:- Dr. Ridley was dressed in a black gown furred, and Mr. Latimer had a long shroud on, hanging down to his feet. Dr. Ridley as he passed Bocardo, looked up to see Dr. Cranmer, but the latter was then engaged in disputation with a friar. When they came to the stake, Dr. Ridley embraced Latimer fervently, and bid him be of good heart. He then knelt by the stake, and after earnestly praying together, they had a short private conversation. Dr. Smith then preached a short sermon against the martyrs, who would have answered him, but were prevented by Dr. Marshal, the vice-chancellor. Dr. Ridley then took off his gown and tippet, and gave them to his brother-in-law, Mr. Shipside. He gave away also many trifles to his weeping friends, and the populace were anxious to get even a fragment of his garments. Mr. Latimer gave nothing, and from the poverty of his garb, was soon stripped to his shroud, and stood venerable and erect, fearless of death. Dr. Ridley being unclothed to his shirt, the smith placed an iron chain about their waists, and Dr. Ridley bid him fasten it securely; his brother having tied a bag of gunpowder about his neck, gave some also to Mr. Latimer. Dr. Ridley then requested of Lord Williams, of Fame, to advocate with the queen the cause of some poor men to whom he had, when bishop, granted leases, but which the present bishop refused to confirm. A lighted fagot was now laid at Dr. Ridley’s feet, which caused Mr. Latimer to say, ‘Be of good cheer, Ridley; and play the man. We shall this day, by God’s grace, light up such a candle in England, as, I trust, will never be put out.’ When Dr. Ridley saw the flame approaching him, he exclaimed, ‘Into thy hands, O Lord, I commend my spirit!’ and repeated often, ‘Lord receive my spirit!’ Mr. Latimer, too, ceased not to say, ‘O Father of heaven receive my soul!’ Embracing the flame, he bathed his hands in it, and soon died, apparently with little pain; but Dr. Ridley, by the ill-adjustment of the fagots, which were green, and placed too high above the furze was burnt much downwards. At this time, piteously entreating for more fire to come to him, his brother-in-law imprudently heaped the fagots up over him, which caused the fire more fiercely to burn his limbs, whence he literally leaped up and down under the fagots, exclaiming that he could not burn; indeed, his dreadful extremity was but too plain, for after his legs were quite consumed, he showed his body and shirt unsinged by the flame. Crying upon God for mercy, a man with a bill pulled the fagots down, and when the flames arose, he bent himself towards that side; at length the gunpowder was ignited, and then he ceased to move, burning on the other side, and falling down at Mr. Latimer’s feet over the chain that had hitherto supported him. 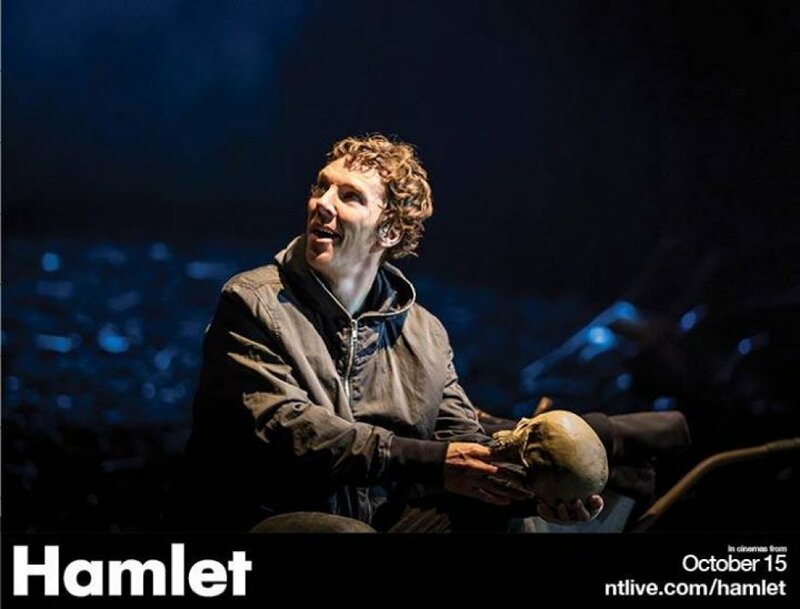 Much has been said and written about Shakespeare’s Hamlet starring Benedict Cumberbatch since it began previews on 5th August 2015, from Cumberbatch’s plea to not record in the theatre to the controversial decision to place the infamous ‘To be or not to be’ speech at the beginning of the play (a decision quickly reversed). It was this evening (15th October) live streamed into cinemas across the world, therefore this piece is based on the cinema experience and not the live experience. I should say to start with that I adore the play of Hamlet, it is one of my favourite Shakespeare plays, I know it well. Therefore I was looking forward to seeing tonight’s performance. 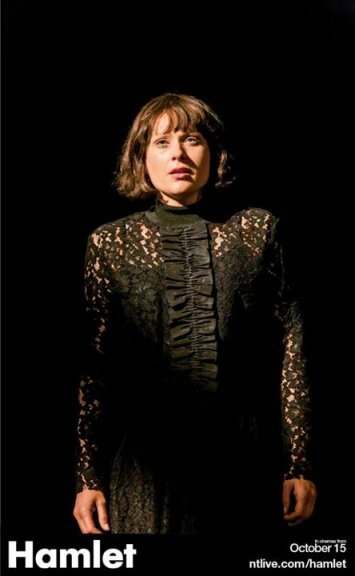 The play opened with Hamlet listening to old records whilst thumbing through an old photo album before being interrupted by firstly a messenger calling him to the great hall then Horatio coming to visit from Wittenberg. The entire opening between Francisco and Bernardo when they first see the ghost of old Hamlet is gone. The entirety of the play has scenes missing and text moved around with some lines being in different acts all together. I can see why they originally placed the ‘To be or not to be’ speech at the beginning, Hamlet is depressed from the start and therefore the speech would have been befitting to the opening scene, however, I am glad that it was restored to its rightful place. Benedict Cumberbatch as Hamlet had a great on stage presence and dominated the stage whenever he was present, however, something was missing! The madness moments seemed strained at times and he felt disconnected from others on stage during the quieter moments. Cumberbatch did get the tortured prince down to a tee though; his emotions were running high throughout. Without Cumberbatch though the stage was missing something and the performance just did not gel for me, each actor was fantastic in their own right but there was no on stage chemistry for me. Jim Norton’s Polonius seemed like he was rushing to get his lines done as if he had somewhere better to be and Leo Bill’s Horatio appeared more wandering hipster than learned scholar. Karl Johnson’s Gravedigger did provide a few laughs especially when he used a spare bone as a mic whilst he dug the grave and Anastasia Hille’s Gertrude in the latter half of the play showed how she had nowhere to turn and no one to trust, you really felt that Gertrude was isolated in her own palace. Siân Brookes’ Ophelia was spine chilling though especially as the character descends into madness, as she walks barefooted off stage after her final performance it was very hard not to get emotional about it especially when Gertrude reveals the contents of the trunk Ophelia had been carrying around and works out what Ophelia is off to do. The fencing scene that descends into chaos showed the cast working together at their best although each death felt quicker than it deserved in particular Gertrude who lost her final lines, as she realised she had been poisoned, to Horatio. Es Devlin’s set design was amazing and very fitting to the tone of this production of Hamlet, an exquisite banquet hall that shows the importance and majesty of court that after the interval descends into a dilapidated ruin. 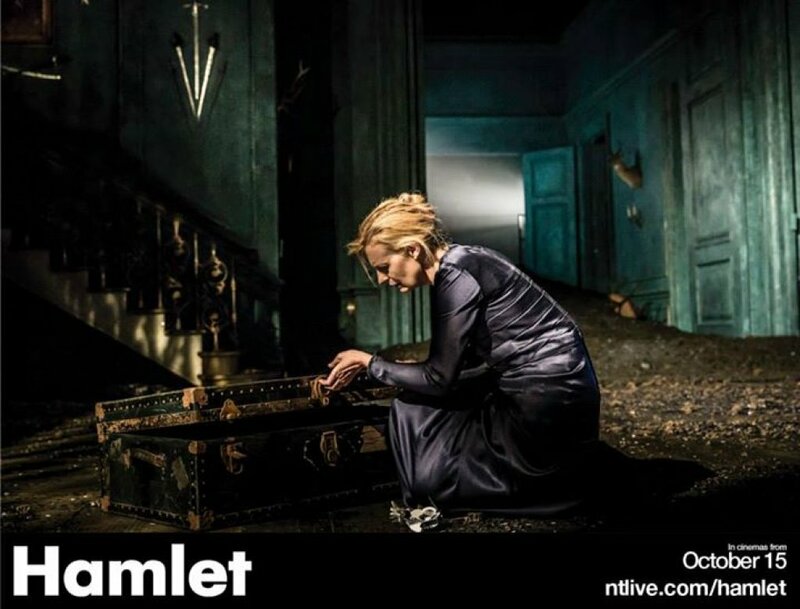 For me Hamlet had a lot of potential to be one of the greats but it just did not click together as it should have done. Sometimes a big celebrity name and a larger budget do not always make a show work. For me the production had some flaws that were hidden behind the fact that Benedict Cumberbatch was in the title role. As a final thought I will say that many young audience members were probably seeing Shakespeare for the first time through Benedict Cumberbatch and if they go on to appreciate and by inspired by Shakespeare and his work then the performance has done its job. 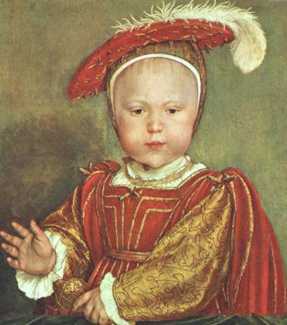 Three days after Jane Seymour gave birth, the future King Edward VI was christened on 15th October 1537 in the Chapel Royal at Hampton Court. The celebrations spared no expense as Henry could finally celebrate the birth of a legitimate son. A procession left the Queen’s apartments to take the new born Prince to the Chapel Royal where in front of a large crowd Archbishop Cranmer performed the baptism. 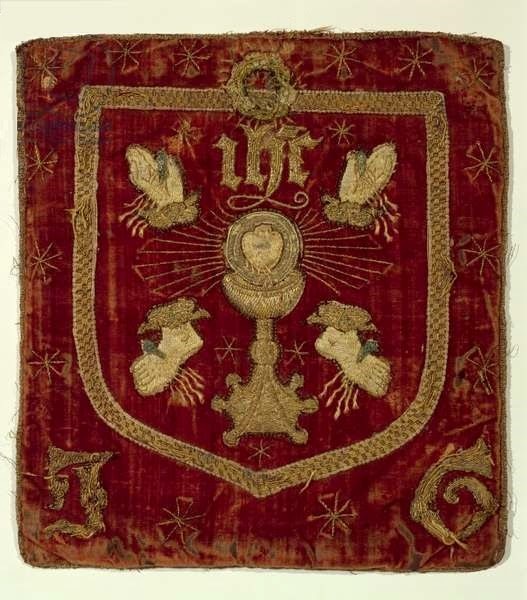 Edward’s sister, Elizabeth, carried the chrisom cloth with the aid of his uncle, Edward Seymour. Princess Mary acted as godmother whilst Thomas Howard, Duke of Norfolk, Charles Brandon, Duke of Suffolk and Archbishop Cranmer acted as godfathers. In the Letters and Papers, Foreign and Domestic, Henry VIII documented in details the events of the day. “The preparations ordained for the said christening at Hampton Court.” Describing minutely the course of the procession and the decorations of the chapel, with the positions occupied by the officers of the household (Sir John Russell, Sir Fras. Bryan, Sir Nic. Carew and Sir Ant. Browne in aprons and towels were to take charge of the font until discharged by the lord Steward, or, in his absence, the Treasurer of the Household). The order of going to the christening was: First, certain gentlemen two and two bearing torches not lighted until the prince be Christened. Then the children and ministers of the King’s chapel, with the dean, “not singing going outward.” Gentlemen esquires and knights two and two. Chaplains of dignity two and two. Abbots and bishops. The King’s councillors. Lords two and two. The comptroller and treasurer of the Household. The ambassador. The three lords chamberlains and the lord Chamberlain of England in the midst. The lord Cromwell, being lord Privy Seal, and the lord Chancellor. The duke of Norfolk and abp. Of Canterbury. A pair of covered basins borne by the earl of Sussex, supported by the lord Montague. A “taper of virgin wax borne by the earl of Wiltshire in a towel about his neck.” A salt of gold similarly borne by the earl of Essex. “Then the crysome richly garnished borne by the lady Elizabeth, the King’s daughter: the same lady for her tender age was borne by the viscount Beauchamp with the assistance of the lord.” Then the Prince borne under the canopy by the lady marquis of Exeter, assisted by the duke of Suffolk and the marquis her husband. The lady mistress went between the prince and the supporter. The train of the Prince’s robe borne by the earl of Arundel and sustained by the lord William Howard.” “The nurse to go equally with the supporter of the train, and with her the midwife.” The canopy over the Prince borne by Sir Edw. Nevyll, Sir John Wallop, Ric. Long, Thomas Semere, Henry Knyvet, and Mr. Ratclif, of the Privy Chamber. The “tortayes” of virgin wax borne about the canopy my lady Mary, being lady godmother, her train borne by lady Kingston. All the other ladies of honour in their degrees. When the Prince was christened all the torches were lighted and Garter King at Arms proclaimed his name (proclamation verbatim, titles duke of Cornwall and earl of Chester). “This done, this service following was in time the Prince was making ready in his traverse, and Te Deum sung”:- First, to the lady Mary the lord William to give the towel and the lord Fytzwater to bear covered basins, and the lord Montagew to uncover. Item, to the bishop that doth administer, the lord Butler to bear the towel, the lord Bray to bear the basins and the lord Delaware to uncover. To the duke of Norfolk and abp. Of Canterbury, godfathers, the lord Sturton to bear the towel and the lord Went worth to give the water. To serve the ladies Mary and Elizabeth with spices, wafers, and wine: the lord Hastings to bear the cup to lady Mary, and the lord Delaware that to lady Elizabeth; lord Dacres of the South to bear the spice plates to both, lord Cobham the wafers, and lord Montagew to uncover the spice plate. The bishop that doth administer, the duke of Norfolk and abp. Of Canterbury, godfathers at the font, and the duke of Suffolk, godfather at the confirmation, to be likewise served by knights appointed by the lord Chamberlain. All other estates and gentles within the church were served with spice and ypocras, and all other had bread and sweet wine. In 2014 to celebrate the 500th anniversary of Hampton Court Palace they recreated Edward’s christening. The trial of Mary Queen of Scots began at Fotheringhay Castle, Northamptonshire on 14th October 1586. Despite being kept essentially under house arrest for the duration of her time in England she was finally officially arrested on 11th August 1586 after being implicated in the Babington Plot to assassinate Queen Elizabeth and place Mary on the throne of England in her place. 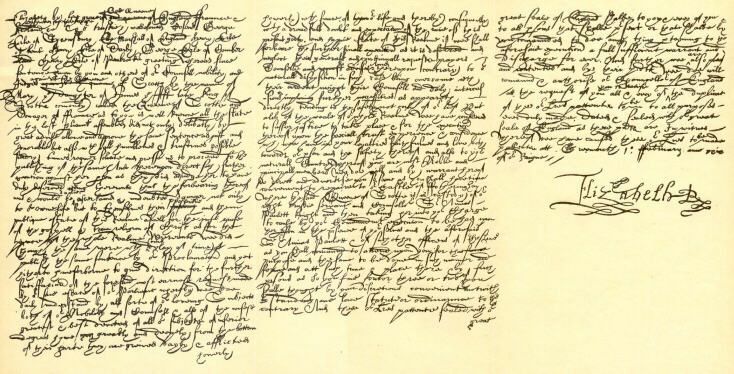 Mary had letters smuggled out of Chartley thinking that they were safe however; they were delivered straight to Sir Francis Walsingham who deciphered and copied them before allowing them to continue to the intended recipients. It was clear in these letters that Mary endorsed the killing of her cousin. Following her arrest she was transferred to Fotheringhay Castle and placed on trial charged with treason under the Act for the Queen’s Safety. 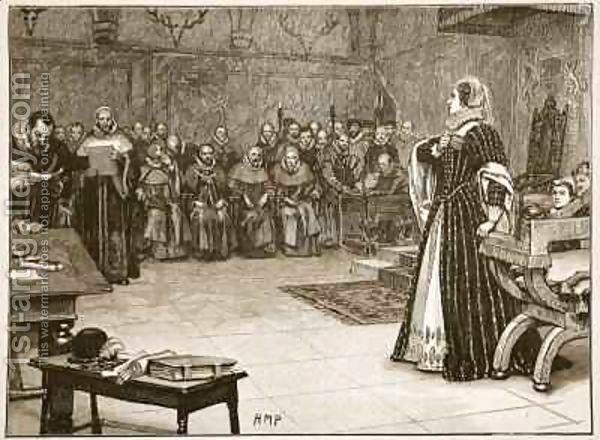 Mary stood trial in front of 36 noblemen that included Cecil, Shrewsbury and Walsingham himself. Mary denied the charges that were put before her and initially refused to even attend the trial but was told by Cecil that it would go ahead with or without her presence. Mary eventually appeared in front of the jury at 9am dressed in a black velvet gown and a white cambric cap and veil. She began to argue that the court was not legitimate and that she had not been allowed to seek legal representation or arrange for any witnesses to appear on her behalf. “Mary: I knew not Babington. I never received any letters from him, nor wrote any to him. I never plotted the destruction of the Queen. If you want to prove it, then produce my letters signed with my own hand. Counsel: But we have evidence of letters between you and Babington. Confessions from Mary’s personal secretaries. The court produced this evidence to Mary who broke down in tears but continued to deny any involvement claiming that the evidence presented was fraudulent and that Walsingham was attempting to frame her. Following a break in the proceedings for lunch the counsel read out the secretaries confessions and although surprised at what was being read out Mary was claiming that the letters must have been intercepted and changed. The proceedings then broke for the day with them to resume the next morning. 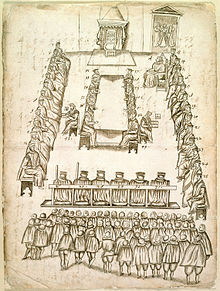 The next morning saw the counsel go straight into reiterating the accusation that Mary had consented to the plot, the trial would go back and forth between the accusers and Mary with the trial eventually closing with Mary demanding that the case should be heard in front of Parliament and the Queen. Elizabeth delayed the verdict for as long as she could, wrestling with her conscience over whether she could condemn an anointed monarch but eventually on 4th December Elizabeth declared that Mary was indeed guilty but she was unwilling to sign the warrant for her death until 1st February 1587 when Elizabeth asked for William Davison, her secretary, to bring the warrant to her and she signed it but also requested that instead of a public execution she wished that Walsingham wrote to Sir Amyas Paulet, Mary’s jailer, to ask him to perform the task in secret therefore meaning Elizabeth could deny any involvement in it. However, Paulet was appalled at what was being asked of him and said ‘God forbid that I should make so foul a shipwreck of my conscience or leave so great a blot on my poor posterity’. 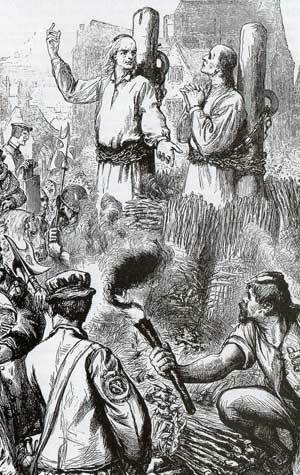 At the same time Cecil had arranged a secret meeting of the Privy Council where it was agreed that the warrant would be sent to Fotheringhay Castle and appointed the Earls of Kent and Shrewsbury to oversee the execution, they would keep this from Elizabeth until the task was done. On 8th February 1587 Mary Queen of Scots was executed at Fotheringhay Castle.